The first masculine oriental from Ralph Lauren. There are 106 reviews of Polo Double Black. 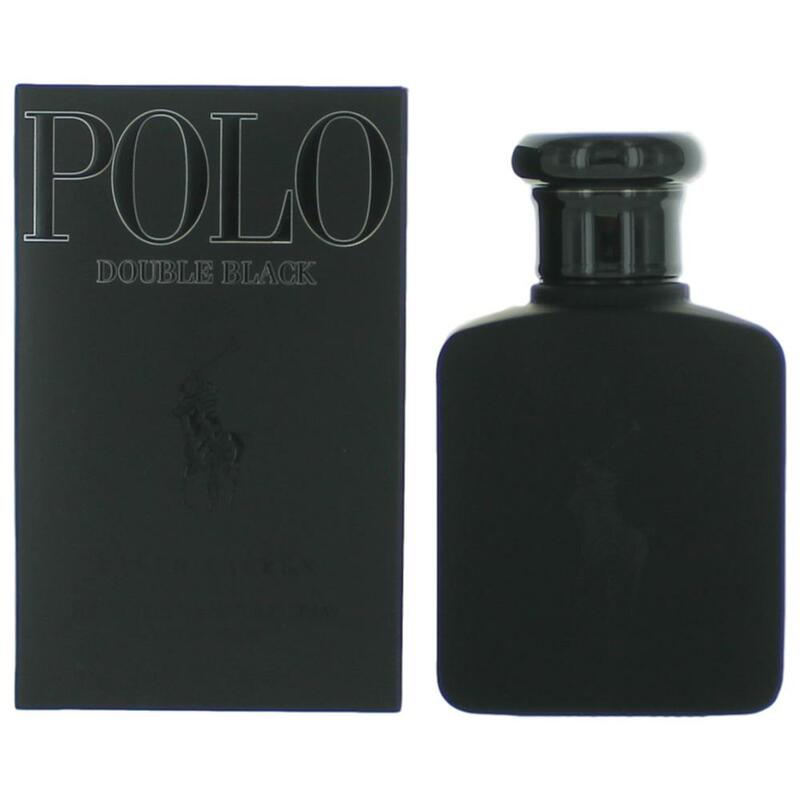 Ralph Lauren Double Black (2006) is the darker, more mature, and more serious brother to Polo Black (2005) was released amid some mild backlash from older Polo fans that the then-newest Polo Black was too jarring and immature. Polo Black itself was composed by Pierre Negrin and Ellen Molner to help Ralph Lauren cash in on the "black" flanker craze of the 2000's, which was essentially a dark and edgy theme which ran the gamut from intense bergamot ambers to bright vetiver-dried fruitchoulis. It was a truly horrid time for fragrance traditionalists, as their faithful chypres and fougères were being eroded with ozonics, aquatics, gourmands, and these kind of bizarre unclassifiable acts of wizardry in the name of tapping into a younger audience. Polo Double Black was crafted by Ellen Molner alone, who returned to add some depth and masculinity to the Polo Black formula so it was more palatable for the guys still leaning on their original green Ralph Lauren Polo (1977) bottles, and it seems the more-favored of the two black entries in the Polo series from this era among the hobbyist community. 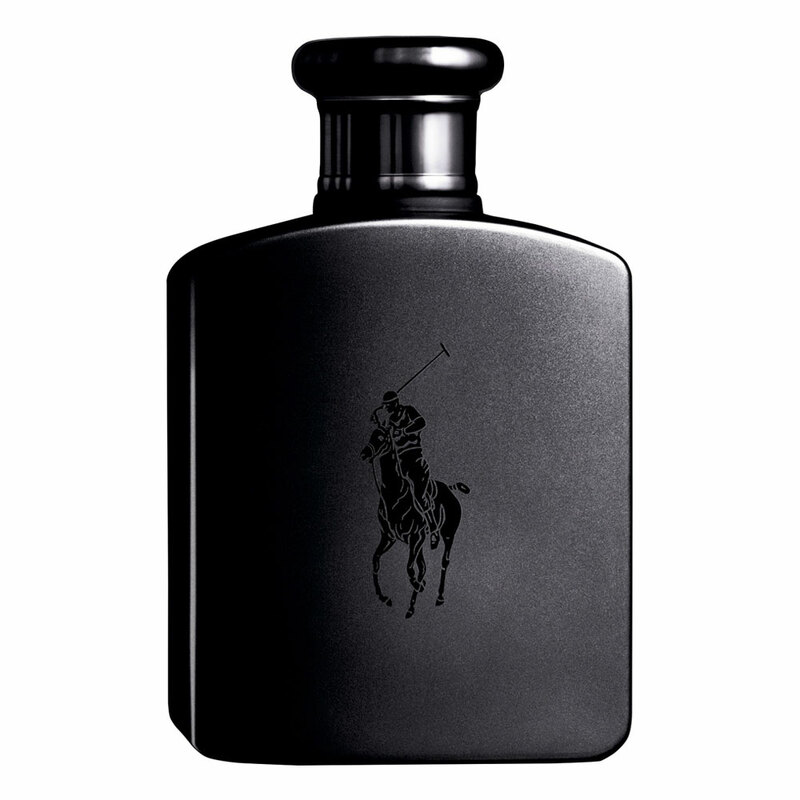 Polo Double Black is the darkest and earthiest of the Polo scents, even taking into account the powerhouse vintage entries like Polo Crest (1991), so it actually fits the "black" moniker better than the singular Polo Black. 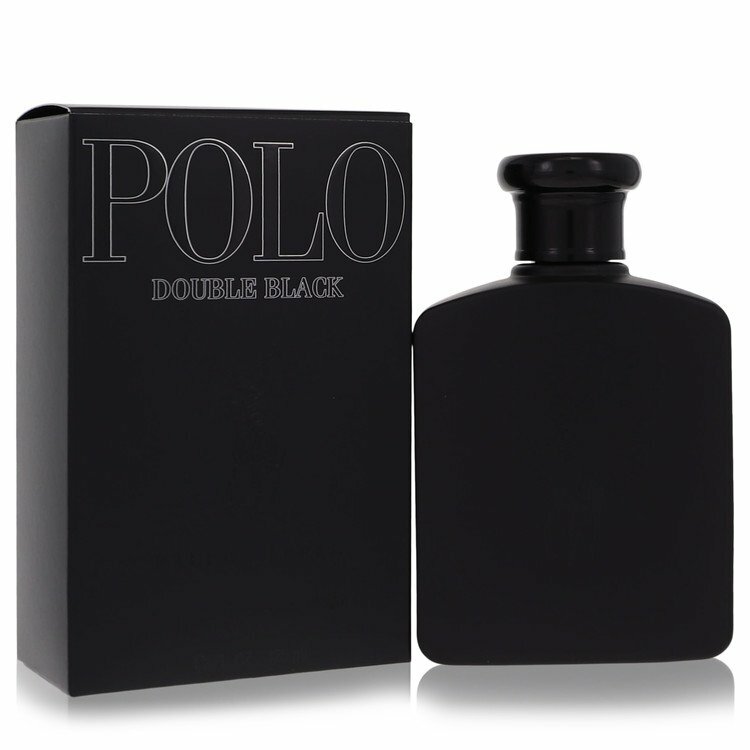 Polo Double Black retains the "iced mango" opening of the original Polo Black for better or worse, but gets rid of the "green effervescent accord" in favor of pairing pink pepper and bergamot with the clary sage and mango accords. The fruity opening is much drier for this reason, and is followed by nutmeg and a coffee note which pulls this closer to something like Thierry Mugler A*Men (1996) than to the original Polo Black formula. When the base notes emerge in the dry down, Polo Double Black pulls even further away from original Polo Black, swapping out the patchouli and timberol (early ambergris proxy predating ambroxan that was also used by Kenneth Cole) for a traditional compound amber and medicinal oud note very similar to Gucci Pour Homme (2003) and Yves Saint Laurent M7 (2002) respectively. I'm not saying Ralph Lauren was trying to ape Tom Ford's efforts with LVMH at the time, but they were definitely trying to strike that vibe here to a lesser (and more-accessible) extent with Polo Double Black. Some rich cardamom and juniper rounds off the base, and we are left with a sort of gourmand oriental hybrid that stays light, semi-sweet, and only really carries part of the fruity top over from Polo Black, making Double Black clearly the more-conventional choice. Wear time is about as long, with 6 to 8 hours on skin depending on application, with moderate sillage. Like it's more-youthful predecessor, Polo Double Black is no performance monster, but it will seem quieter if only because it is not as dynamic or brash of a scent. Fans of the regular Polo Black may find Polo Double Black as a nice evening or romantic alternative to the standard experience, and perhaps even a replacement for when they feel "too old" to pull off the first Polo Black, if such age pigeonholing societal conventionality is your mindset. I personally kind of like the bombastic nature of Polo Black more than the reserved gourmand woody amber scratch of Polo Double Black, but I understand if something like that just seems too tacky for some people. With Polo Double Black, Ralph Lauren was able to speak to multiple generations at least for a bit longer, until they threw the baby out with the bathwater by going into their now-discontinued "big pony" numbered series of 4 half-baked fragrances featuring only 2 prominent notes. If you were on the fence about Polo Black, this is one to try, and if you liked Polo Black, this may still be one to test, as both are somehow miraculously selling and quite testable at most department stores, despite most other mid-2000's "black" flankers going the way of the dodo into the following decade. Whatever keeps Polo Double Black alive is undoubtedly the thing still making Polo Black move off shelves, but until I can figure out what that is, I'll just chalk it up to luck. In either case, this is an interesting and well-rounded gourmand oriental worth a look for Ralph Lauren fans, but nothing to blow the doors off anyone well-versed in this genre. Nice silky satin black bottle too! Thumbs up! I like the smell of Double Black better than original Polo Black, but the performance is pretty weak. Masculine but soft and fruity with a fun mango note. Feels pretty versatile and will probably be a summer only scent for me to help with performance. It only projects a little in the opening. Then it's a skin scent for a few hours. I love Polo Double Black. Would describe it as a modern masculine fragrance. Reminds me of the strong cologne fragrance in the men's department at Bergners department store. Probably a date night cologne. This is a decent vanilla and spice fragrance in the drydown. It begins loudly with a blast of citrus-like notes, and then settles into a creamy haze. I do not detect any mango. I had higher expectations given the variety of ingredients. In addition to not being a showstopper, Double Black doesn't last past three hours on me, which is annoying, and would have been a reason for not purchasing had I known at the outset. Overall, it's a pleasant office and casual fragrance. One can do worse. Perhaps I should go a bit heavier on the trigger to enjoy its entire panoply of alleged ingredients. Or I can give it to my brother who would otherwise never purchase cologne. Fabulous rework of Polo Black. Double Black is classy, shimmering with a pleasant incense quality, and elicits compliments. I get a comforting and confident feel sniffing this even after several hours of wear. Has a slight resemblance to A*Men (esp. with the coffee note), though it's much less sweet and more spicy. Polo Black, by comparison, smells fruity-spicy and more "wet" in comparison to Double Black's incense-spicy-rich woods dominant quality (mango is not as sharp, just somewhat hollowed out and more of a peel-like sensation than the fruit itself). Love the complexity of the fragrance and originality. From the moment I got a sample I knew I needed a bigger bottle. Though I do have some heavy hitters in my line-up I always like pulling this one out as a pinch hitter just to mix things up.